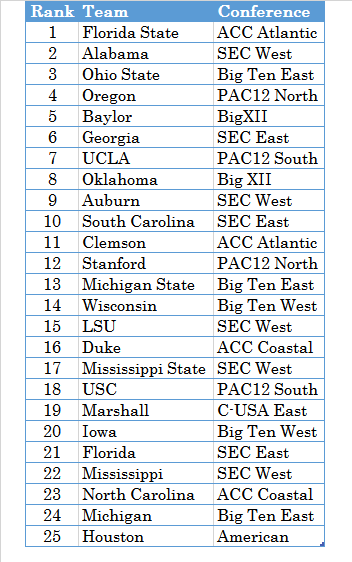 Top 25 predictions for the conclusion of the regular season. 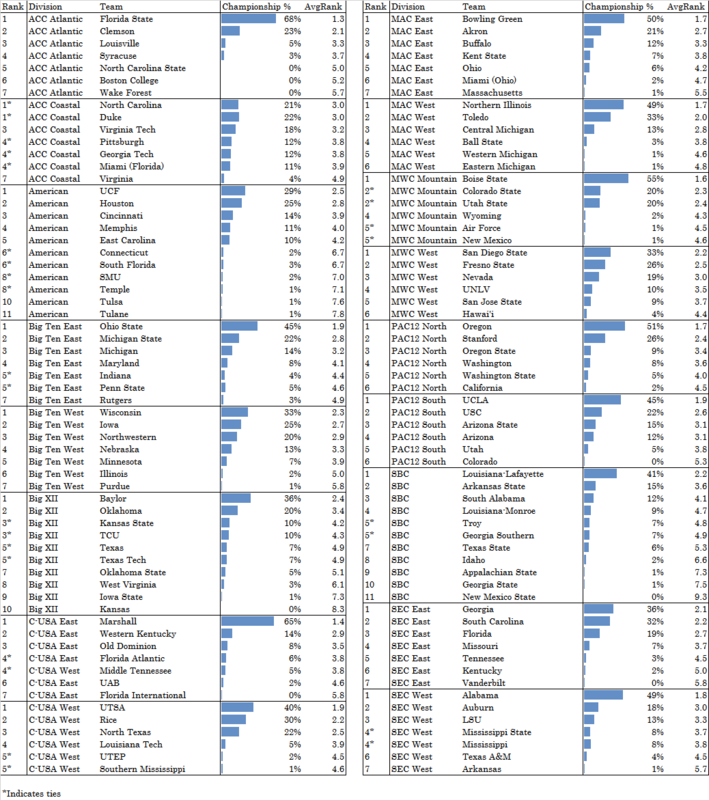 Predicted divisional standings and divisional championship probabilities, derived from 40,000 season simulations. AvgRank is the average finish of all simulations.